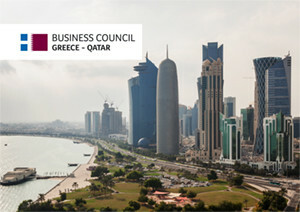 The Greece – Qatar Business Council was established in 2015 to expand the vast potential for increased trade and investment between Greece and Qatar. The Council is dedicated to create new business partnerships for and among its members. The mission of the Greece – Qatar Business Council is to strengthen, foster, and facilitate commercial, trade, investment and cultural relations between Greece and Qatar through enhanced networking, proactive advocacy, and shared resources.